Scores of Gold Rush-era ships lie buried beneath the streets of San Francisco. LJ Moore’s fascination with these hidden ships has led her to direct a group of writers and artists to develop an audio walking tour, The Armada of Golden Dreams, that is scheduled to premiere in May 2011. Moore had been investigating the history of Golden Gate Cemetery in what is now Lincoln Park when she happened across a reference to an 1818 whaling ship, the Candace, that was unearthed at Folsom and Spear Streets in 2005. Doing a search on Google for San Francisco buried ships, she found Ron Filion’s 2000 article and map on the SFGenealogy website. Moore contacted Filion, who was generous in providing further information. 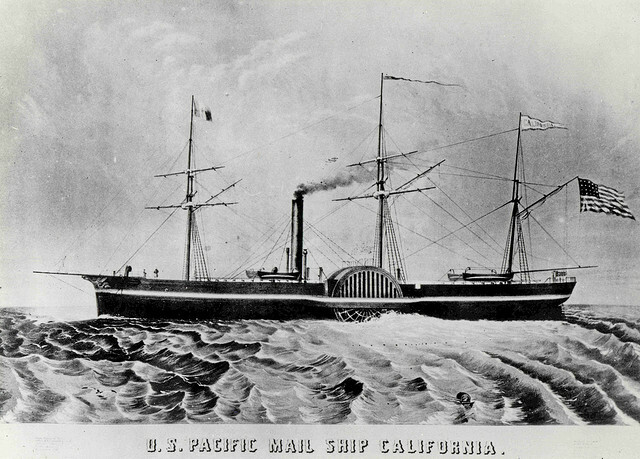 Filion especially encouraged Moore to take advantage of the resources at the San Francisco Maritime’s research library, located at Fort Mason – where Moore received valuable assistance. Additional searching on Google led Moore to online resources, such as the image collection at the Bancroft Library at UC Berkeley, the California Digital Newspaper Collection based at UC Riverside, and the online resources of the California Historical Society. Moore conducted interviews with Bill Duffy, owner of the Old Ship Saloon on the corner of Pacific and Battery Streets – the building of which was originally made out of the hull of a ship, the Arkansas. She made use of JSTOR, a database of academic journal articles – one of many databases available for free through the San Francisco Public Library. She also did searches on Google Images and traced images she found interesting back to their online sources. I had each writer pull a vessel’s name from a hat, then handed them the packet of historical information I had gathered on that vessel. Tavia and I took them all on a tour of the locations, and asked them to write their pieces with an eye to rekindling the life of the ship buried below. I asked them to use their X-ray vision along with their writer’s imaginations to give the people taking the tour a picture of something they could no longer see, that was buried beneath their feet. I wanted to re-connect people with a shared past that is still here, with that child-like wonder that we all remember but don’t often experience. Our constraint for the writers is to keep the pieces under 3 minutes when recorded, but the form is open– poetry, fiction, non-fiction, journalism– whatever they felt was their best medium. 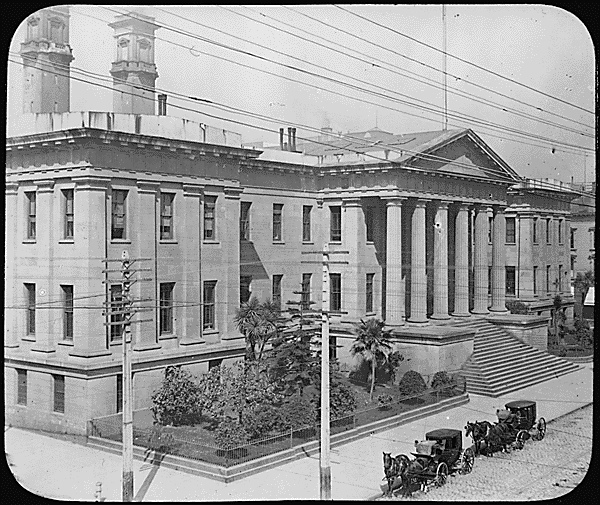 I’ll be reading from San Francisco personal accounts, letters written aboard ships, newspaper articles, historical texts from the 1848-1853 time period in order to contextualize the tour for listeners and familiarize them with some concrete imagery while they are walking through decidedly modern cityscapes. Moore has written up the project for a post on the San Francisco blog The Bold Italic, entitled, “Walk the Plank.” For more information about the project and its upcoming release, please visit The Armada of Golden Dreams.